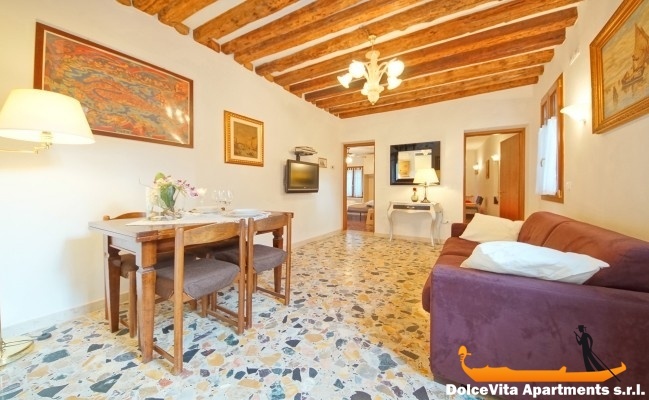 Apartment N. 27: It can accommodate up to 2 people, it is rented from 145 € per Night (not per person). 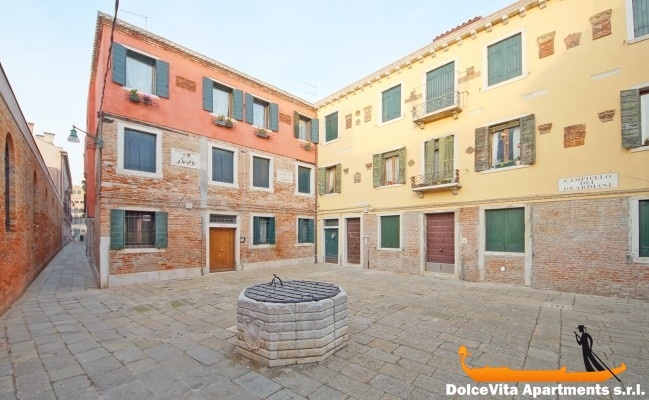 This bright apartment of 67 Square Meters is on the ground floor of a renovated historic building in the heart of Venice, it is in a typical Venetian square called "Campiello" that is also characterized by the presence of a well. 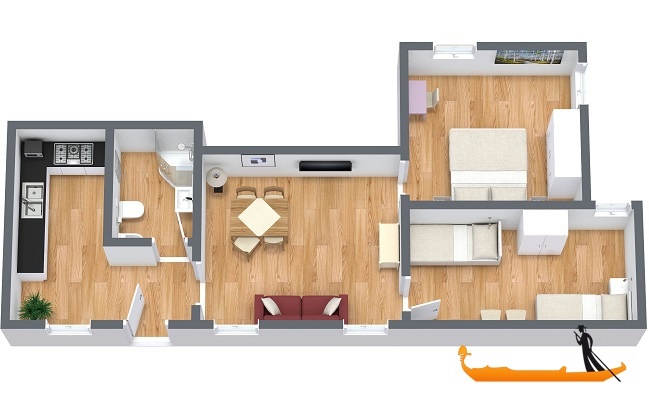 It has a separate entrance, comprises a double bedroom, a bedroom with two single beds, fully equipped kitchen, living room with double sofa bed and satellite TV, bathroom with shower. The rooms overlook a quiet and well kept garden. 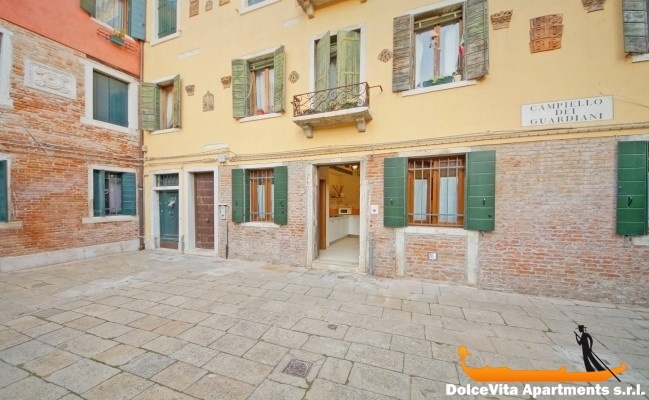 The apartment is very convenient if you arrive by car, bus or train because it is a few hundred meters from Piazzale Roma (bus terminal), you can also easily reach the main attractions the city thanks the location in the bustling district of Dorsoduro. Moreover is right next to the "Zattere" water bus stop, where there are the lines for the islands of Giudecca, San Giorgio, Lido and Murano. 150 Meters from the waterbus stop "San Basilio".